MY problem is that I didn’t have a place to live. Most rental properties in Manhattan don’t fit my needs, are overpriced, or, more likely, both. I couldn’t afford a new house, nor did I want to lock myself into a 30 year mortgage on top of my $90k student loans. Just your typical millennial, except that I don’t live with my parents. Turns out, I’m not alone. A widely accepted standard for gauging the cost of housing in is to calculate how much of your income you spend on housing. If you’re spending less than 30% of your income on housing, you’re in pretty good shape. If you’re spending over 30%, you qualify as ‘cost-burdened’. It turns out that Manhattan, KS is home to the most cost-burdened renters and owners in the state of Kansas. I’m a university professor, make a decent salary, and I still fall into the cost-burdened category. For many others, however, it gets worse. (KS average = 7%; KC Metro ave = 21%; National average = 26.5%). These burdens are even more prevalent among low income populations, where 96% of renters, making less than $15K per year, pay >30% of their income for housing (National Low Income Housing Coalition, 2016). Manhattan is a great community and I’m happy to share the company of many great friends here. The company I keep with my cost-burdened comrades, however, is company I could do without. You’ll notice that the Riley county averages are not so different from the national averages. And surely, with KState and a thriving business environment, people in Manhattan make more money than the rest of the state, right? Wrong. In fact, the average median income for Riley county is $46,500 (margin of error = $42,000-$50,900), which is significantly below the KS average ($52,400). Minimum wage in KS is $7.25 an hour. A Manhattan resident wanting to buy a 2BR home would need to make at least $14.92 an hour (40hr wk), or 2.1 full-time, minimum wage jobs to own a house. If you want to rent, you need 1.5 full-time, minimum wage jobs. In other words, Riley county residents pay the MOST of any county in the state of Kansas, while earning less than the average county (101 counties, total). We have us a problem. The lack of affordable housing in Manhattan, KS is not unique. At the national level, despite a slight decline in cost-burdened households, 1 in 4 owners pay more than 30% of their income for housing and another 1 in 10 pay over 50%. It’s worse for renters, especially those aged 25-34, where 46% of renters pay >30% of their income on rent. This is a 6% increase since 2003. For low-income and minorities, 80% of households with incomes under $15k are cost-burdened. In other words, everybody is getting screwed. Consistent with supply and demand economics, there are at least 2 causes of cost-burden, especially for renters. Homeownership rates are at 20-year lows, rental demand is booming, and the rental vacancy rate is at it’s lowest in nearly 20 years (7.6%). 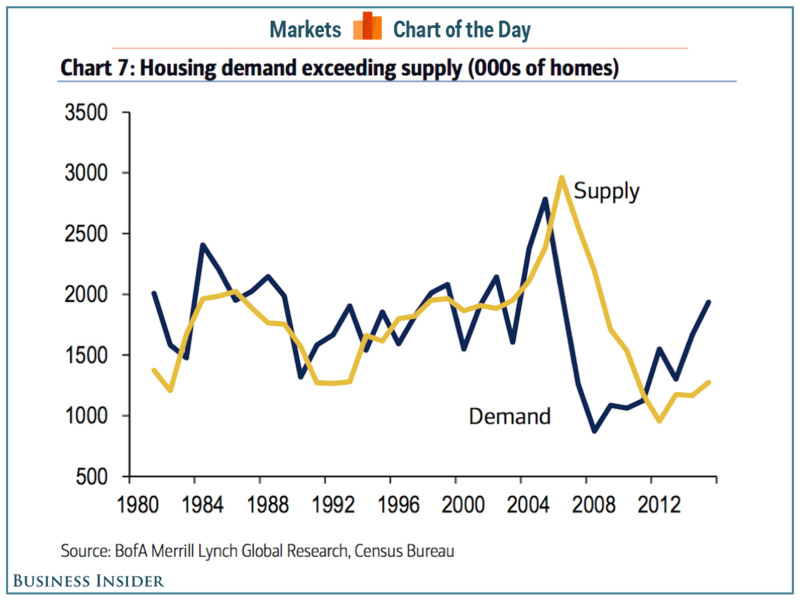 In other words, supply simply cannot meet the demand. With this imbalance, rent increased at the national level by 3.2% last year, twice the pace of overall inflation. It’s a great time to be a landlord, not so much a renter. This trend is mirrored, if not amplified, in Manhattan and the greater Flint Hills region. In the most recent and comprehensive study, to date, the Flint Hills Fair Housing Equity Assessment and Regional Analysis of Impediments to Fair Housing project, found the cost of housing to be much greater than any median income family can afford- especially in rapidly growing markets (i.e., Manhattan). Paying more for housing, however, did not translate into better quality housing. In fact, the low vacancy rates (i.e., high demand/low supply), along with the lack of code enforcement, allows landlords to provide disturbingly low-quality housing at a high cost. In other words, the cost of housing does not reflect quality and there is currently no incentive for landlords to change that. The missing middle, a term originally coined to describe urban-dwelling millennials who want a more affordable, walkable, community-oriented housing option, seems like an apt term for several demographic groups in the cost-burdened market. In Manhattan, KS, the missing middle includes college students (who are likely the most exploited renters), military families and elderly individuals, as evidenced by the 2015 Riley County Community Needs Assessment. In fact, the #1 rated problem among the aging population in Manhattan, KS was lack of affordable housing. Talk to any student or military family and they’ll make a pretty convincing case that they’re right at the top of the list, as well. In short, not much. Land and housing costs within the city are too expensive to buy and/or develop into affordable housing. Development projects on the outskirts of the city are many, but also don’t meet the needs of those who need them the most- students, elderly, and low-income or homeless individuals and families who need access to campus, healthcare, social connection, and basic services, respectively. In the meantime, what’s been your housing experience in Manhattan? Are you satisfied? What would you change?